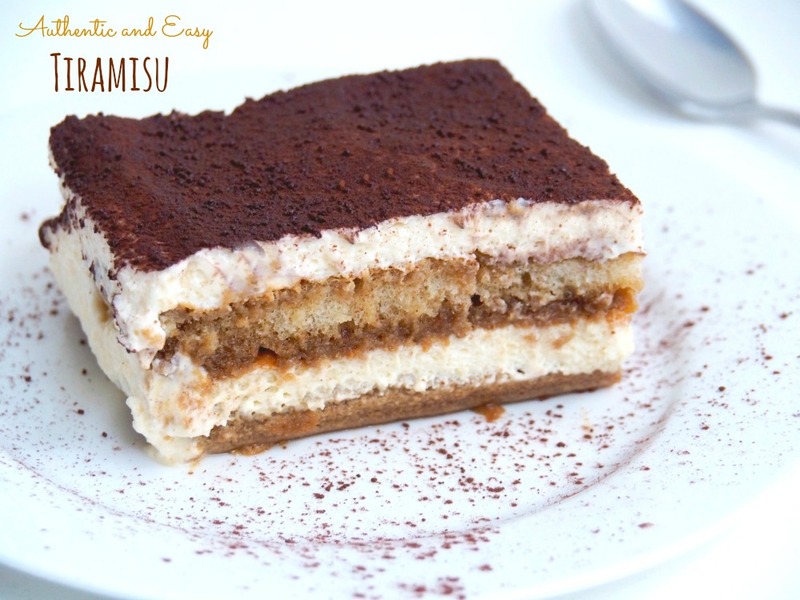 This authentic recipe for a classic tiramisu is so easy but so delicious! This month’s reader recipe comes from Paola in Sydney via Treviso in Northern Italy. You see when I’m not baking or trying to be a domestic goddess, I’m teaching English to international students. I really love it and it’s so much easier to teach adults than children! For the last few years, I’ve been relief teaching so I work in a few different places which means I get to meet so many interesting people, both teachers and students. The kitchen gods clearly aligned one day in 2016 when Paola and I both sat next to each other in the staff room. We were both relief teaching and bonded over our love of food and my ardent desire to make Tiramisu. I haven’t seen Paola since so I never got to thank her for sending through such a delicious recipe so let’s just agree that this post is a virtual thank you! It turns out that I’m pretty good at sitting on my laurels because not only has Paola’s recipe been sitting in my inbox since 2016, Tiramisu has been on my list of 101 Things to Do in 1001 Days since 2017 and it’s been top of my too-hard basket for what seems like forever.